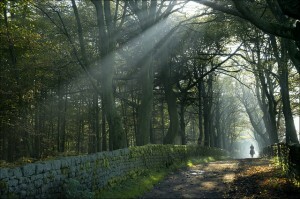 A leafy and green suburb of Bradford, Bingley is surrounded with natural woodland and open landscape. Seamlessly integrating with the landscape the residential and commercial area of Bingley enjoys some of the best trees, hedges and greenery of Yorkshire. Established for over 20 years J E Varley have been helping people in Bingley with their tree surgery needs and all aspects of gardening maintenance. Experts in tree services we cover all aspects of work including stump grinding, tree pruning, thinning and reducing the crown of overgrown trees. No job is too small ( or too big! ), the J E Varley team are always on hand to help people with their tree surgery requirements. If you have an unruly hedge then the J E Varley pruning team can provide you with expert trimming and shaping services. All of our work is done to British standards and we adopt the latest techniques to ensure the hedge or tree can grow again in a natural and uncluttered way. If you have a residential or commercial tree service requirement in the Bingley area or simply you need some good sound advice from down to earth people then speak to J E Varley we certain we’ll be able to help and provide a hassle and stress free solution. Call us today on the number above or complete our contact form.